Freshwater crayfish are poor dispersers – predominately moving by crawling across the bottom of rivers and creeks – so it is hard to imagine that individuals, separated by over 2000kms of waterways, can be genetically similar and form part of a single interbreeding grouping. These findings were revealed in our Murray crayfish population genetics study, based on 20 locations across the present range of species, recently published in Marine and Freshwater Research (here). 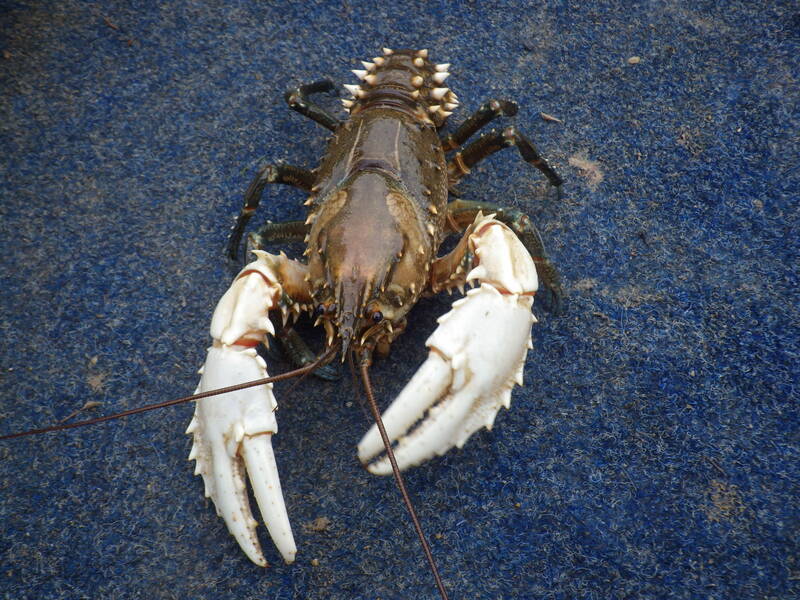 Yet, the gene flow required to maintain connection of this interbreeding population can be achieved by only a few migrants per generation, so it is anticipated that recolonisation of depleted crayfish populations will occur gradually. This finding is particularly relevant to our ongoing assessment of the recovery of populations along the Murray River significantly impacted by the 2010-11 blackwater event (see http://natureglenelg.org.au/our-work/native-fish-conservation/current-projects/managing-the-recovery-of-murray-crayfish-in-the-mdb/).